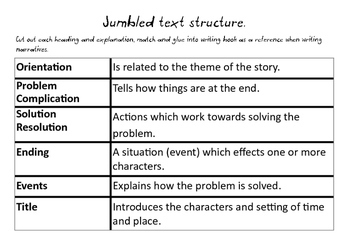 This bundle is designed to assist with students understanding of the structure and features of a narrative. 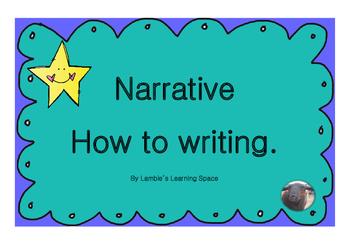 It includes mini posters describing the structure and the features, arrows to label a model narrative, a narrative structure activity and an assessment rubric for pre and post assessment. In my classroom to use this product I print and laminate the posters and stick the how to writing to the bulletin board, whiteboard or join each page vertically to hang under each other from wires in my room. 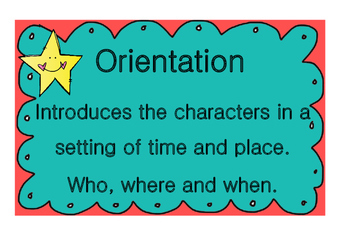 The narrative we read is laminated and displayed on the bulletin board or whiteboard with the arrows placed on the text to identify features. 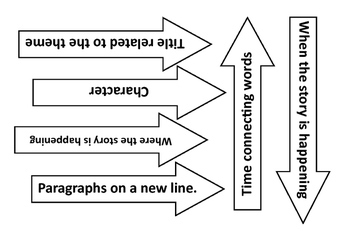 Students are encouraged to use this model when writing their own narratives. If you enjoy using this product I also have how to writing for information report, exposition, procedure, description and recount. You may also like to use my Genre Writing Work Booklets Bundle (below) or you can find them sold separately on my store.